Lokhit Pashu Palak Sansthan means "welfare organization for livestock keepers" in Hindi. Today its work continues to be inspired and shaped by the close association with this traditional pastoralist community, but its goals have widened to embrace people-centred livestock development and the sustainable management of biodiversity rich agro-ecosystems. LPPS aims to support rural livelihoods through participatory research and community implementation of sustainable land use practices. We act as a bridge between traditional and modern animal cultures and knowledge systems. LPPS promotes sustainable livestock development building on Rajasthan's traditional culture & knowledge. It mediates between communities and other stakeholders, including government, researchers and the private sector. LPPS advocates for the rights and responsibilities of pastoralists & livestock keepers under national and international legal frameworks, including the Forest Rights Act and the UN Convention on Biological Diversity (CBD). 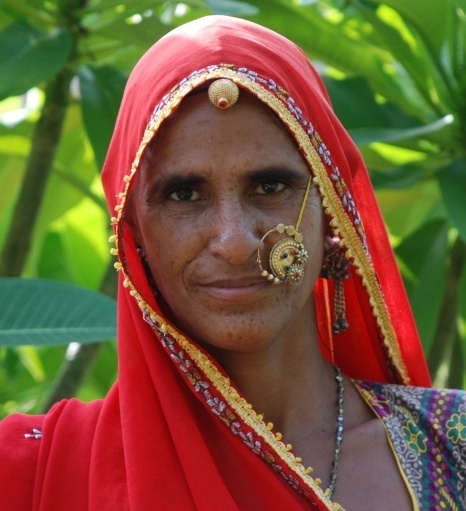 Pastoralism thrives in Rajasthan, and worldwide, and is recognized by all for its economic, cultural and environmental importance. To promote the recognition of Rajasthan’s unique livestock culture & heritage nationally and internationally. LPPS aims to achieve this by means of implementing the livestock keeper’s rights, economic empowerment, preservation of cultural heritage and protection of the environment. LPPS was founded in 1996 by Hanwant Singh Rathore to provide a support structure to the Raika when their camel herds were suffering from infectious diseases. A research project by Ilse Köhler-Rollefson had revealed significant economic losses due to Trypanosomiasis. Initially the activities focused on providing camel health care but gradually expanded to capacity-building, documentation of traditional knowledge, advocacy for grazing rights and a rights-based approach. 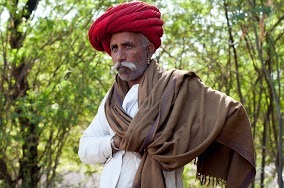 Originally the organisation worked around Sadri in Rajasthan’s Pali district, but since 2007 it is also active in the villages around Jaisalmer. LPPS is the Indian partner organisation of LPP (League for Pastoral Peoples and Endogenous Livestock development), an international organisation working towards green and equitable livestock development based in Germany. LPPS is a member of the LIFE Network for community-based conservation of animal genetic resources. LPPS is a member of Drynet, an international group of NGOs working towards implementing the UN Convention on Combating Desertification. Dr. Srivastava is from Bikaner and has a Ph.D. in zoology from Jai Naryan Vyas University in Jodhpur. A noted ecologist and primatologist, he has conducted field research in Northeast India as well as in Central America. 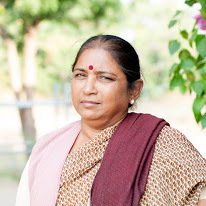 Dr. Kothari is a sociologist and has conducted her Ph.D. research on Raika traditions and culture. 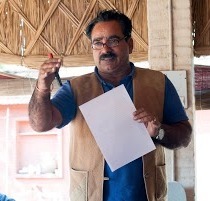 Hanwant is a native of Jodhpur and the Chief executive of LPPS since its inception in 1996. He organised the Camel Yatra in 2005 and has represented the interests of pastoralists in many national and international meetings. 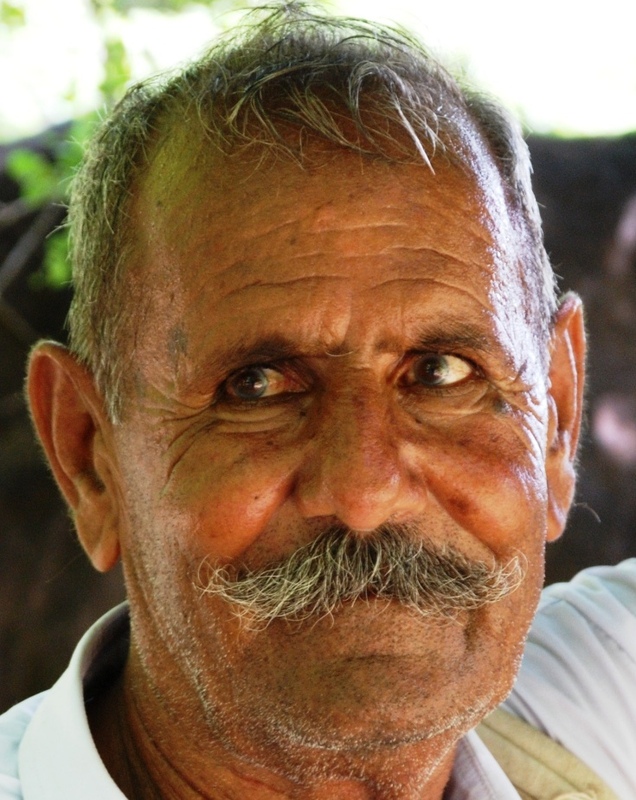 Mr. Singh is a retired school teacher from Bali and a dedicated camel and livestock breeder. Daylibai is an animal healer and renown community leader. She has travelled far nationally and internationally, as an advocate for Livestock Keepers’ Rights. She is a councillor of the WAMIP, the World Association of Mobile Indigenous People. Mangilal Raika is a livestock keeper and represented his community during the First International Conference on Animal Genetic Resources held in Switzerland in 2007.